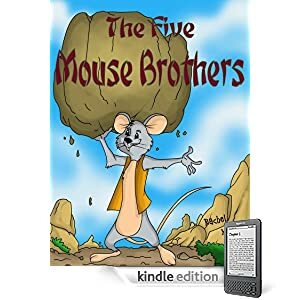 Book report from Dee and her children Zack, age 6, and Missy, age 2: The Five Mouse Brothers is by the obviously gifted 14 year old, Rachel Yu. We really enjoyed the fact that this was a “longer” children’s story. The story is unique, although may be a bit on the dark side for some younger readers, as the entire premise is about how one of the mouse brothers is falsely accused of theft and sentenced to different forms of death by his fellow mice. Zack, on the other hand, loved the fact that the Mouse Brothers used their superpowers to rescue each other, and it led to a good discussion for us about family, and how family should stick together and care and defend each other if the need were ever to arise. We also loved that the meanings to the Mice’s names were given at the end of the story, it was amazing to Zack that the Mice did not just have random names, but that they actually made sense based on the colors they wore. The cultural insight was great. I can see some kiddos wanting to memorize the Cantonese colors just to say they know them… and they would, in fact, be pretty easy for a four or five year old to memorize. One teeny tiny nitpick… there is a misspelling of the word “sugar” (suger) on the glossary page… minor, minor, minor… but its just one of those little things that bothers me, if I’m able to find typos in a printed work. The illustrations are great! They are wonderful in retelling the story visually, and there is no adjustment of the contrast needed here at all. Even Missy kept interested in the story (rare for her, with a story this long!) just by making sure she could examine each picture in detail. I would recommend this book for ages 4 and up, simply due to the darker subject matter.